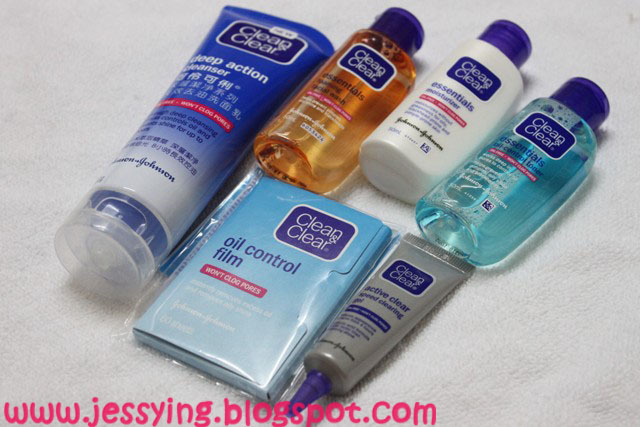 Today Clean & Clear® have reinforced its comprehensive range for teenage woman that treats normal to top teen care skincare concerns like oily, acne prone and uneven skin toned skin. 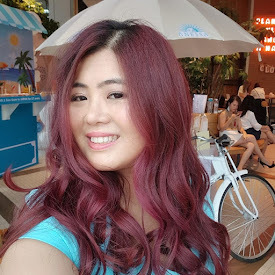 Well for me, Clean & Clear® is one of the earliest skincare that I have used during my teenage years AGO where my skin are oily like yao char kwai (fried dough stick) and have pimples all over my face. Lucky gone are the days !!! 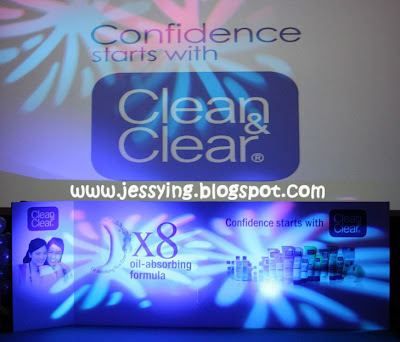 So when I was invited to attend Clean & Clear® media launch of their latest skincare innovation and new look of their packaging, I am curious to find out how much they have changed or improved. And I believe today most of the teenagers today are equip with camera or at least a camera phone because it is so affordable. And that is the age where we would love to cam-whore anywhere at anytime without feeling shame . However that is also the time when our skin condition starts to change due hormone. And no one wants to looked take pictures with face looking oily and pimples popping all over the face right ? So Clean & Clear® is introducing an all-new x8 oil absorbing formula to help teens keep their skin oil-free up to 8 hours! What 8x oil absorbing formula ?? Read further! Joyce Lee, the Managing Director of Johnson & Johnson Sdn Bhd said while Clean & Clear® has always been known as the brand that boosts teenagers' confidence by helping maintain clean, noticeably clear and beautiful skin, the brand is also strongly committed to understanding teens and delivering solutions to meet their needs with the most innovative skincare technology. She further said that "Clean & Clear® understand that teenagers today love to take pictures and look good in them, therefore Clean & Clear latest oil-absorbing technology is specifically developed with oily skin concern in mind"
Clean & Clear® latest formulation contains special extract of an all-natural rice protein which has a unique structure to soak up oil from the skin like a micro-sponge all day long. It works mainly by attracting and capturing sebum (oil secretions from skin) out of skin pores 8 times faster and lasting up to 8 hours. It also contains six minerals and 18 amino acids to protect the skin from environmental damage. Its other benefits include prevention of skin irritation and promotion of water-oil balance in skin. Mr Keshan Gunasinghe , the leading scientist from Johnson and Johnson Asia Pacific Beauty Care Research & Development said that Clean & Clear® uses 4 technologies in their products that serves different functions for various skin types, from normal skin to oily, acne-prone and uneven toned skin"
He further explained that "Oily skin can be a real dirt magnet. You will need a skincare range that works deep down into pores to keep oil away long after you've washed your face. And this is when Clean & Clear® Deep Action range is the most helpful"
Apart from the sharing session my Mr. Keshan, Clean & Clear also invited the cheerleading team from CHARM (Cheerleading Association and Register of Malaysia) who gave an energetic performance to the audience before the event came to an end. Essential Range- basic skincare set that suitable for all skin types. To be honest, Clean&Clear is one of the earliest skincare product I used in my teenage year, I would say they mild and work well on my skin to control oiliness and blemishes. However over the year, my skin concern has changed and I do not think I'm suitable to use it. So should I do a giveaway to give to people who might need this ? ?